NEW YORK (CNS) — Since Cardinal Joseph L. Bernardin introduced the “seamless garment” approach to life issues 35 years ago, the notion has been both divisive and formative for the church, according to speakers at a Dec. 11 panel in New York. The event, “A Consistent Ethic of Life 2.0: An American Catholic Dialogue Rebooted,” was held at Jesuit-run Fordham University, the site of Cardinal Bernardin’s 1983 speech. The cardinal’s presentation “ushered in a new way of viewing moral living which emphasized the protection of the unborn, care of the poor, the elderly and the environment as interrelated and intertwined,” said retired Bishop Gerald F. Kicanas of Tucson, Arizona, who currently is apostolic administrator of the Diocese of Las Cruces, New Mexico. Cardinal Bernardin, who was Chicago’s archbishop from 1982 until his death in 1996, used the consistent ethic to “bring warring factions within the church who feel passionately about one or another life issue to come together in support and defense of everything that upholds life and its God-given dignity,” Bishop Kicanas said. The “consistent ethic” has been resisted from the time it was first presented. Bishop Kicanas said critics thought it made all moral issues equivalent, and some felt the approach was not aggressive enough in confronting a secular society that dismissed the rights of the unborn. 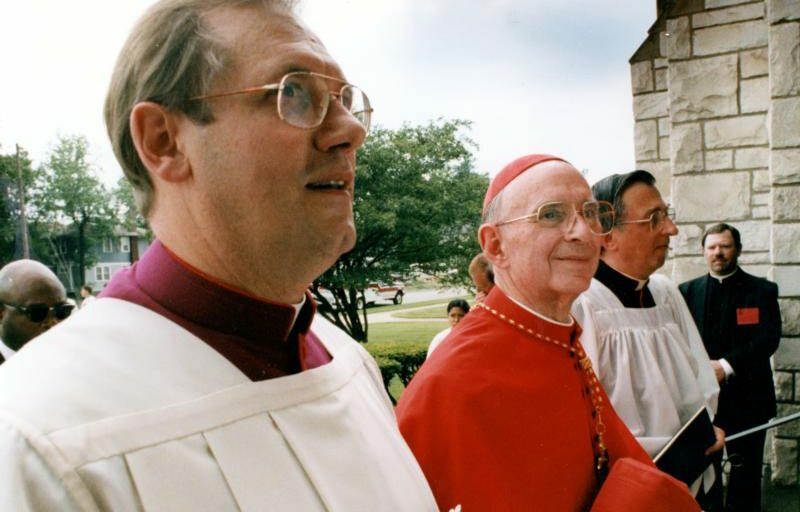 Others said Cardinal Bernardin watered down the church’s clear teaching by linking life and social issues in a consistent ethic. As a result, “the rich, comprehensive social teaching of the church has been blemished by the cherry-picking approach of too many today,” he said. Bishop Kicanas said the consistent-ethic approach has ripened and matured in the Catholic church since 1983, and become part of the teaching of each pope, through word or example. “There has been a consistency and continuity of magisterial teaching on the interrelatedness of the life issues from John Paul II to Benedict XVI to Francis,” he said. He said Cardinal Bernardin envisioned dialogue that led to “common ground” where participants discover unity amid diversity and diversity amid unity. Beaty said evangelical witness in the public square has been compromised in recent years by partisanship and political alignment. In focusing almost exclusively on the unborn, evangelicals “identified with a political vision that blames the poor for their own struggle, shrugs at gun violence and degrades the environment,” she said. Rabbi Jill Jacobs said the consistent ethic is built on a framework familiar in Judaism, where any injury to a human is an injury to God, and God’s human creations have an obligation to stewardship. Jacobs is executive director of T’ruah, The Rabbinic Call for Human Rights. “The consistent ethic inspires us to think more broadly about the world we want to create,” Jacobs said. The event was organized by the Fordham Center on Religion and Culture and moderated by David Gibson, the center’s director.